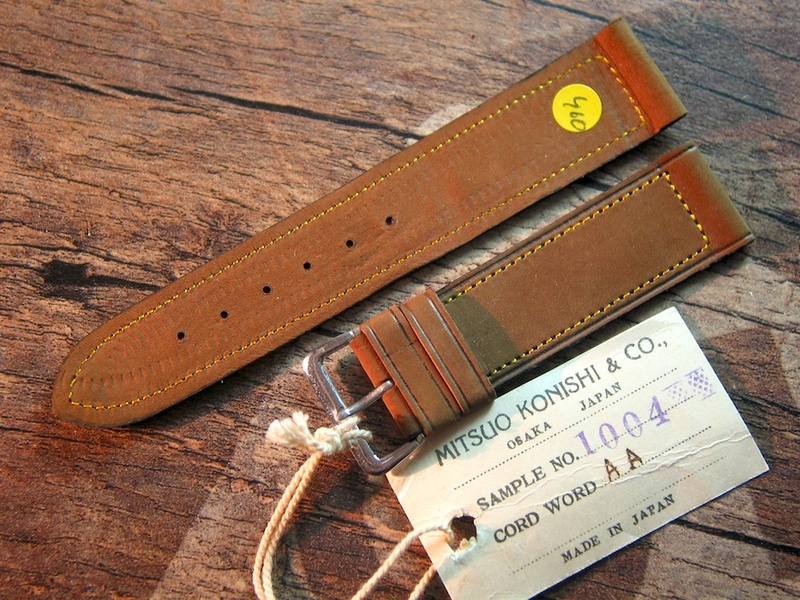 Description 19 mm vintage Strap from the 30s No 460 brown suede calf leather Strap, Made in Japan,NOS condition, 19/18 mm 180 mm long, 2.4 mm thick, closed ends for spring bars, come with a ss polished Buckle, the original Hang Tag with ist Japanese origin is still present. Note: the pictures shows the long part from the back site to show the high quality! Soft like a Peach and may be one of the nicest vintage straps I have seen in decades! A great high quality strap to match your vintage watch.